Orlando, Florida, real estate attorney and estate planning attorney Matthew Wasinger has been protecting business and family legacies since 2008. Matthew Wasinger is founder of Wasinger Law Office, PLLC, and provides Florida families, individuals and businesses with estate planning, trusts and wealth preservation, and guardianship for minor children. Matthew also provides real estate legal services including closings, negotiations and investment property transactions. 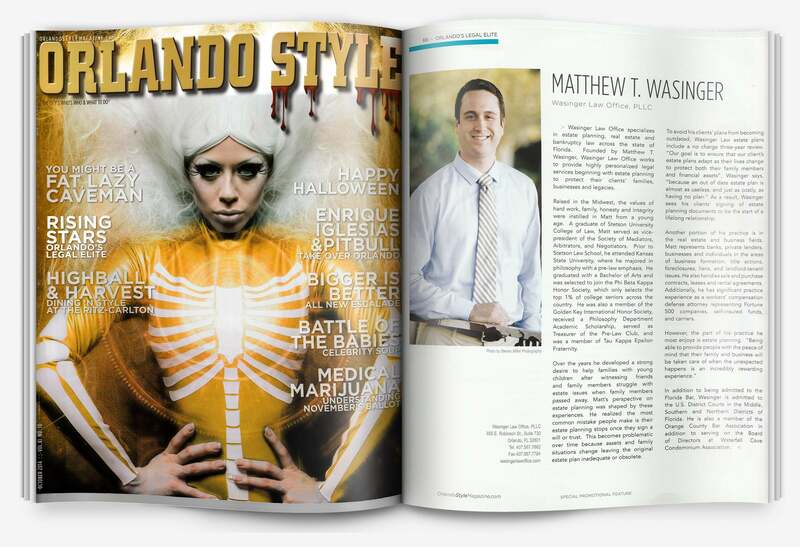 Matthew has a decade of experience practicing Florida law. He said that he can relate to the various estate planning and real estate legal situations that his clients face. “I’m 35 and I was married in January this year. The clients I work with are like most of my friends who have already started families and have one or two children. Matthew has worked on hundreds of cases since 2008 when he began practicing law. He was recently named a “10 Best in Florida for Client Satisfaction, Estate Planning Division, 2018,” by the American Institute of Legal Counsel. 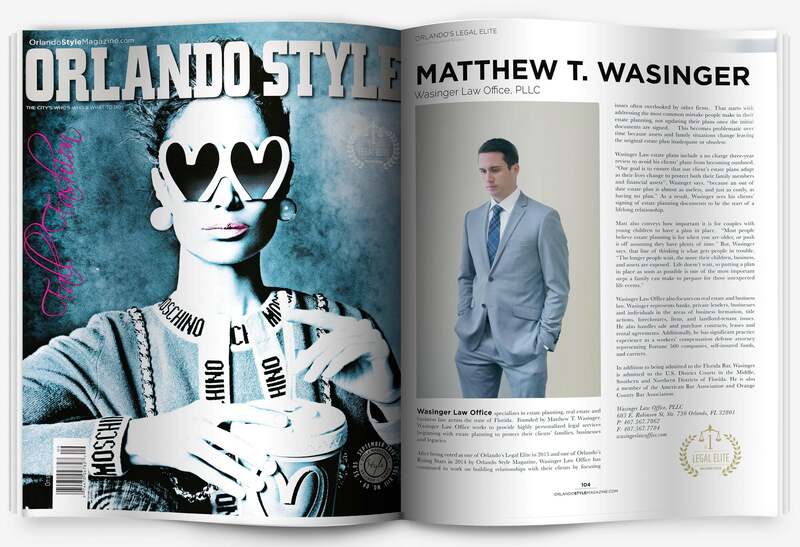 Matthew was named an Orlando’s Legal Elite by Orlando Style Magazine in 2015 and 2016, and was named an Orlando Rising Star in 2014. At Moran, Kidd, Lyons, Johnson, & Berkson, P.A., in Orlando, Matthew was an associate attorney and handled workers’ compensation defense, foreclosures, landlord and tenant issues, and condominium association litigation from 2008-12. Matthew was an interviewing and counseling teaching assistant while receiving his Juris Doctorate from Stetson University College of Law, in Gulfport, Florida, in 2008. 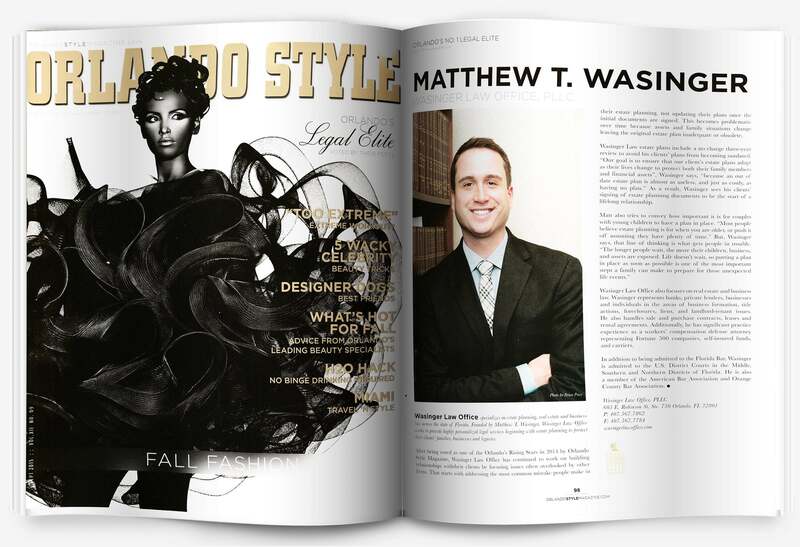 While earning his undergraduate degree at Kansas State where he studied pre-law, Matthew was a Phi Beta Kappa Honor Society member which is awarded to the top 1% of college seniors in the country. Matthew worked in the United States Attorney General’s Office in Washington D.C., in the Office of Juvenile Justice and Delinquency Prevention during the summer of 2004. Matthew grew up and lived in Hays, Kansas, however, he is a Washington, D.C., native. Learn more about the legal challenges you’re facing by talking with Matthew about how to protect your family, your business and your legacy.